Corpus Christi Garage Door Repair is a family owned business that provides full service garage door installation and garage door repair services for both residential and commercial customers in Corpus Christi, Rockport, Aransas Pass, Port Aransas and other local communities. We are a family-owned business made up of highly trained and experienced technicians with the tools in hand to tackle any job—large or small. Knowing how important the trust of our customers is, we will always offer an honest estimate while only recommending just what your property needs. Trustworthy is a great word to describe our team of certified technicians. They arrive on time for appointments and are friendly in nature. Rain or shine, they are on site to do your garage door repair. 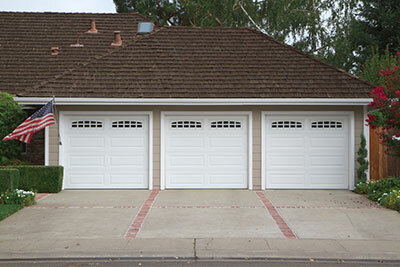 Any make or model of garage door is fixable by our team, even if it is a custom door. For garage door repair, our team is fully trained in a range of tasks, from realigning overhead doors to getting your keypads and door openers back in perfect working order. Common issues we fix include broken parts, such as cables and springs, nonworking safety eye sensors, and drums that need replacement. We promise to give you the best price possible on your repair service because we only recommend the particular services that you need. You’ll be 100% satisfied with your service and we always stand behind our work. No matter the time of day or night, we have a team on the phones ready to take your call who can send out a technician. We understand emergencies happen all time out of your control so we guarantee that we’ll be there to help you with your problem. At Corpus Christi Garage Door Repair, we want to be your go-to provider in Corpus Christi for overhead garage door repair, any day of the week. Call us to book an appointment or for an emergency call out. Regardless of your problem, or if you’re interested in installation a new overhead door for your home or business, our team is here to help.